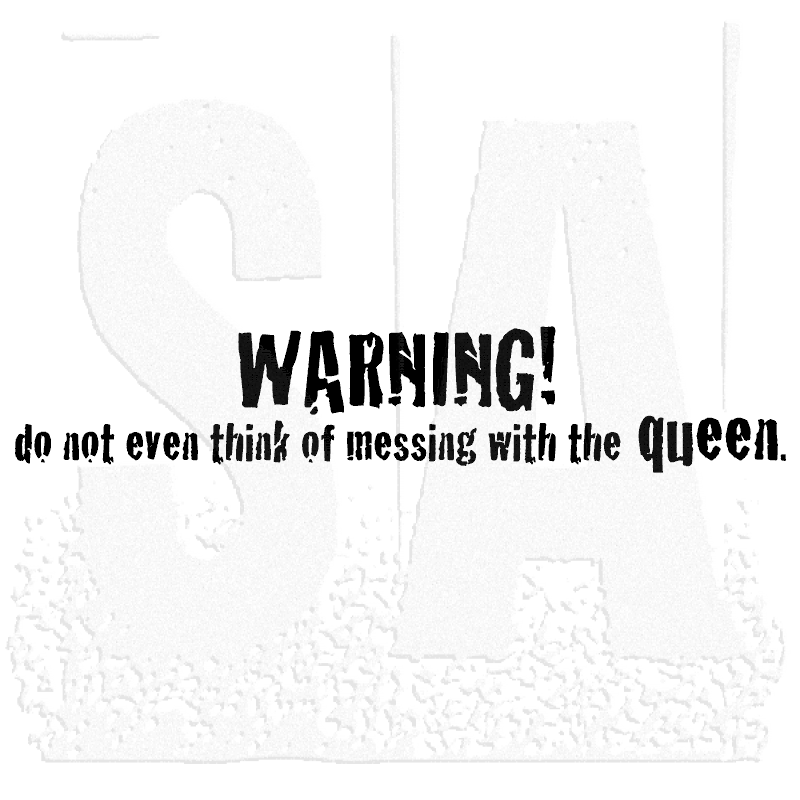 'WARNING! 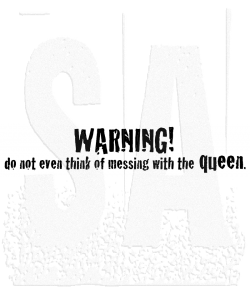 do not even think of messing with the queen.' measures approximately 3 1/2" x 5/8".